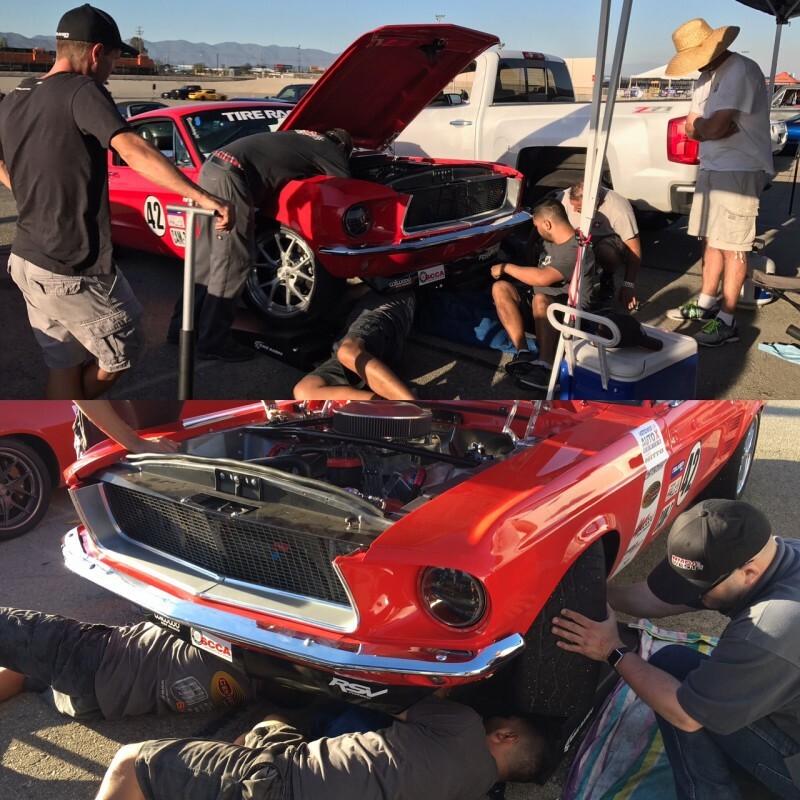 As a supplement to SoloMatters, AutoXandTrack has your in depth coverage of the SCCA ProSolo Fontana CAM happenings. 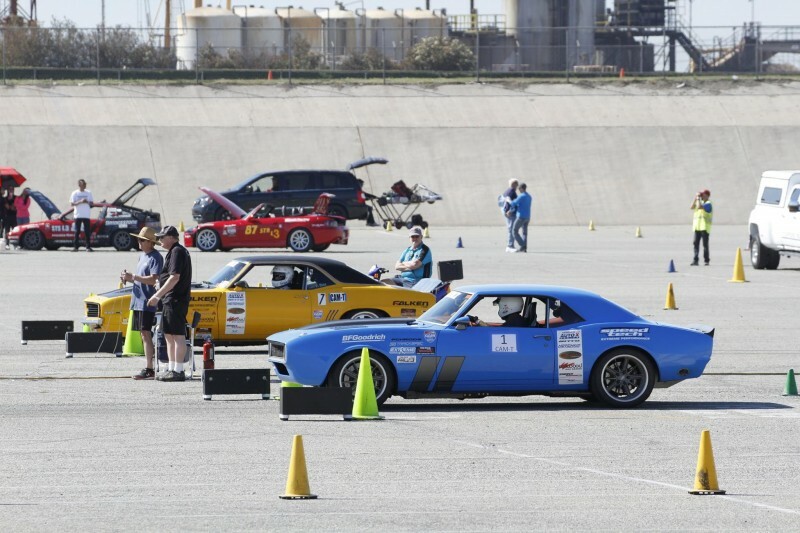 This past weekend was a busy one in the world of Southern California Classic American Muscle (“CAM”) autocross. 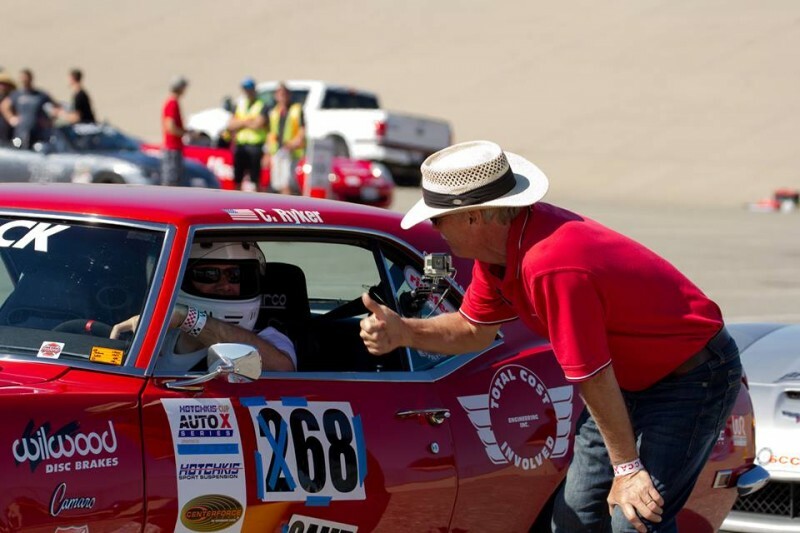 Between the SCCA ProSolo in Fontana, NMCA West Hotchkis Autocross, and Del Mar Goodguys there was a plethora of events available to an autocross driver. 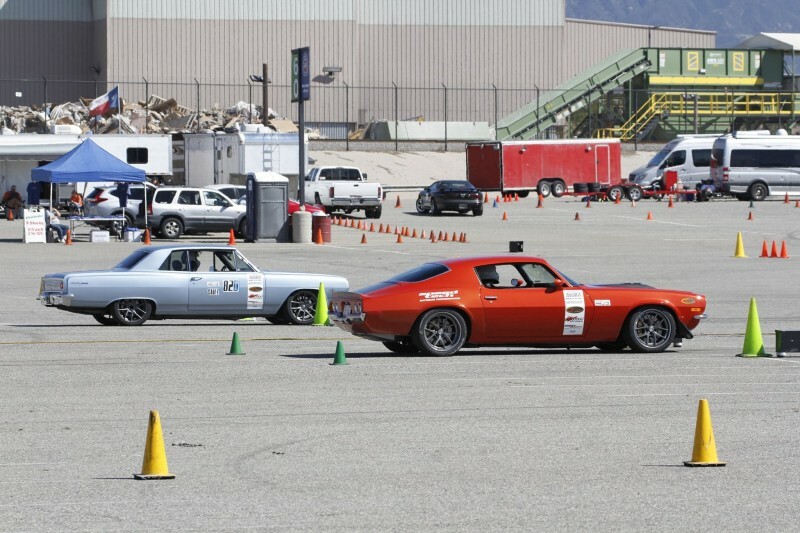 And each event featured very different style autocross courses. 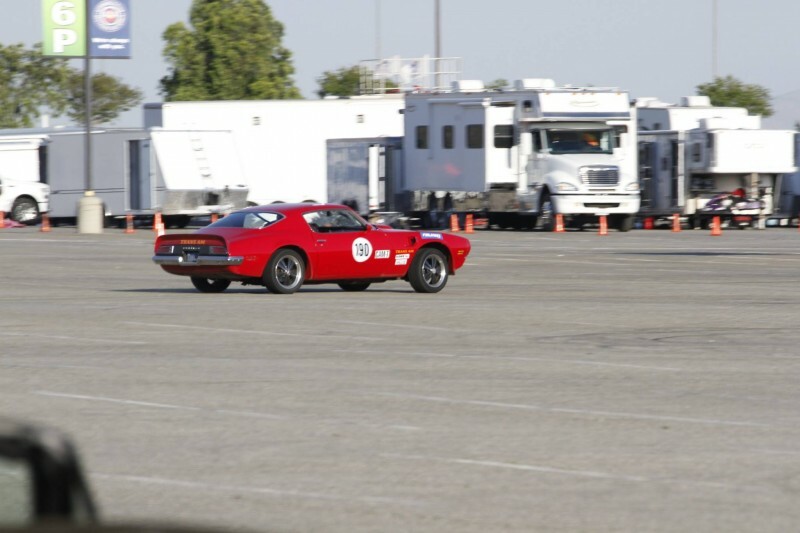 However, the best part was that all events had great representation by American muscle cars. In fact, despite competing events, CAM tied STR for largest registered class of the ProSolo, with 19 CAM competitors signed up (though a few didn’t show)! Michael Cuthbertson and Efrain Diaz squaring off and getting staged! 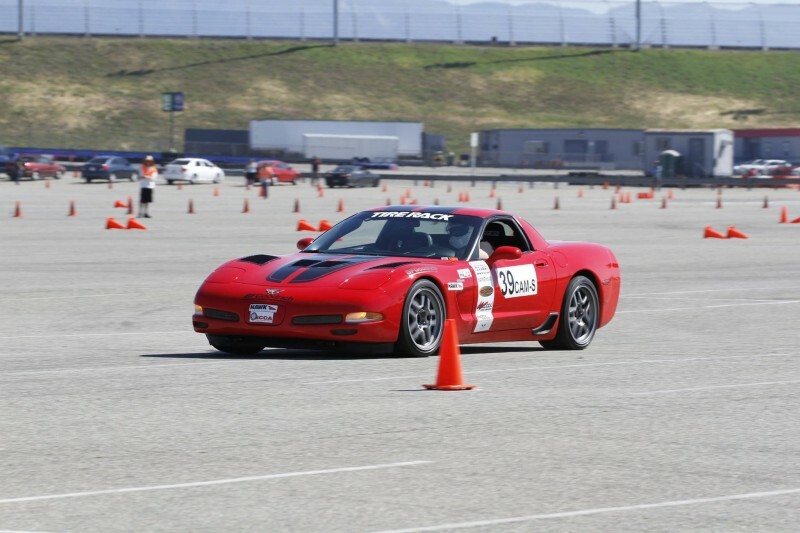 What is SCCA ProSolo Autocross? 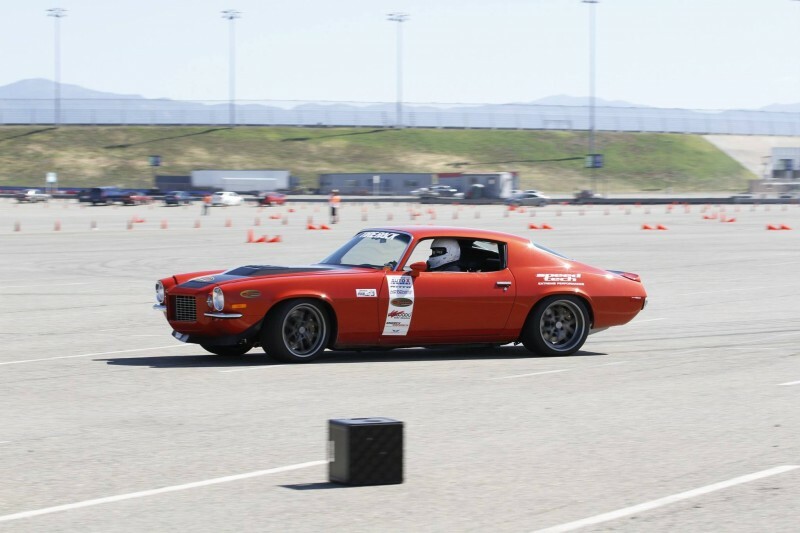 The TireRack SCCA® ProSolo® Series is an adrenaline-pumping autocross format where solo isn’t solo. Drivers still run a course by themselves, but start off side-by-side drag racing style and attack mirror-image courses to see who gets back to their respective finish lines first. 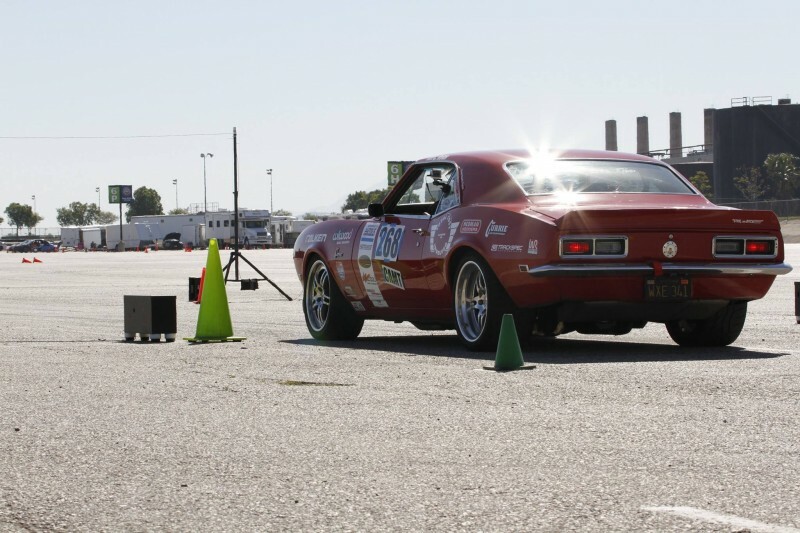 A 500 Christmas tree is used which adds the elements of reaction times, red lights and 60 foot times to the autocross mix. 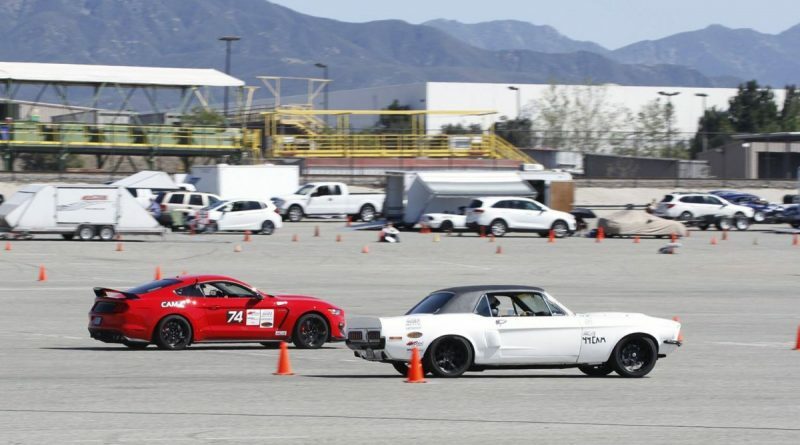 ProSolo class competition takes 1.5 days where each driver gets 6 attempts at each course to put together the best run from each side. Class winners are determined from putting the best right and left side runs together. After class competition, it’s time for single-elimination challenge rounds. The first is a bragging-rights Bonus Challenge drawn at random, a Ladies Challenge for the top performing ladies class drivers and the big one – the Super Challenge, which pits the top 32 drivers from regular competition into a solo bracket madness (using dial ins with staggered launches) where coming out on top is simple: string together 12 winning runs in a row while avoiding red-lighting, hitting cones and glory-robbing mistakes. At the end of the article I have some basic first timer advice for anyone attending their first ProSolo. 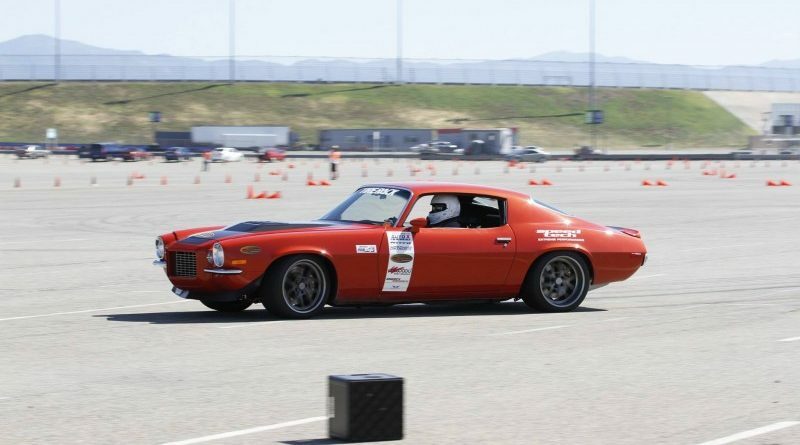 In speaking with Howard Duncan from SCCA National, I was surprised to hear that ProSolo hasn’t really caught on yet with the CAM crowd. 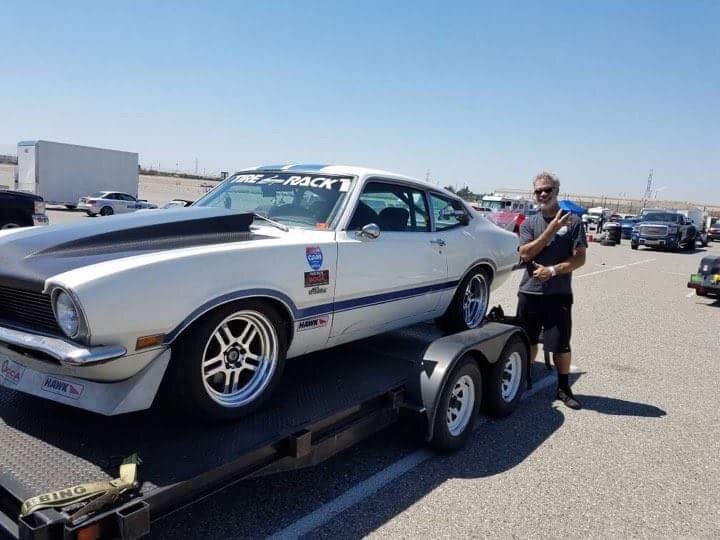 Given the popularity of drag racing in the muscle car community ProSolo looks to be a great opportunity for the CAM class to get a taste of both! 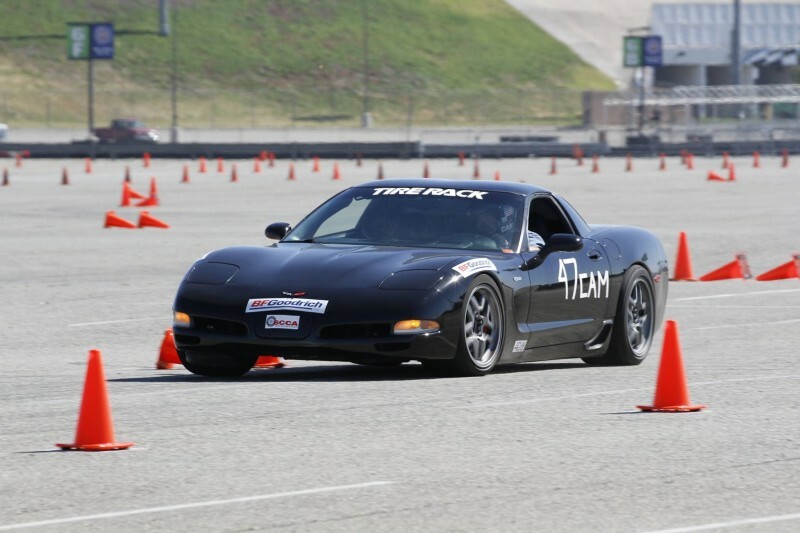 If you are familiar with the SCCA CAM class then you know there are three sub classes, CAM-Traditional, CAM-Contemporary and CAM-Sport. For ProSolo events the three sub classes are run together in a single CAM class using a modified PAX index. The standard PAX index is modified to reflect the differences among the classes when factoring in a drag race style launch. And if you wondered what PAX is. PAX is an index that is intended to take the car’s performance out of the equation and rate just the driver. It theoretically gives you the time you would have gotten if you had been driving a car in the fastest class (A-Modified or A-Mod for short). The idea is to provide a way directly compare times between two different classes. In ProSolo the PAX index is a core component of most of the classes. Note, that PAX does not factor in the differences in individual cars within a single class. 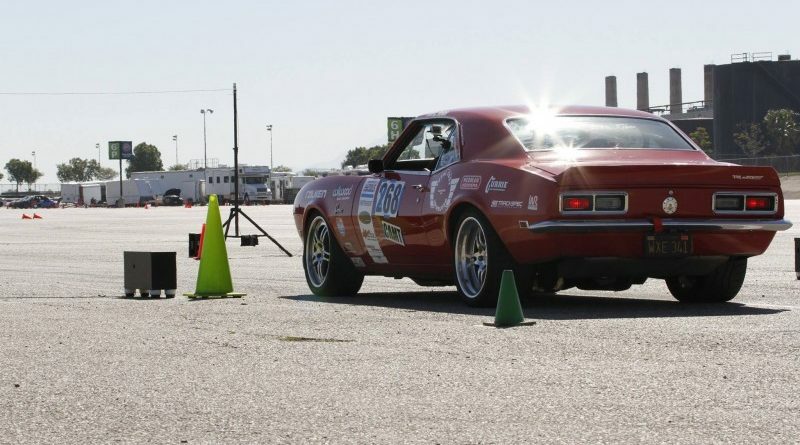 Take a ride along with the AutoXandTrack Camaro’s fastest runs for each course. Due in part to the popularity of CAM signups at this ProSolo an idea was hatched that might result in separate year end national ProSolo championships for each of the three CAM classes rather than just a single championship for all of CAM. Stay tuned for updates in this area. With almost all CAM drivers picking up time Sunday morning during their final four runs the ranks definitely shuffled around compared to Saturday. 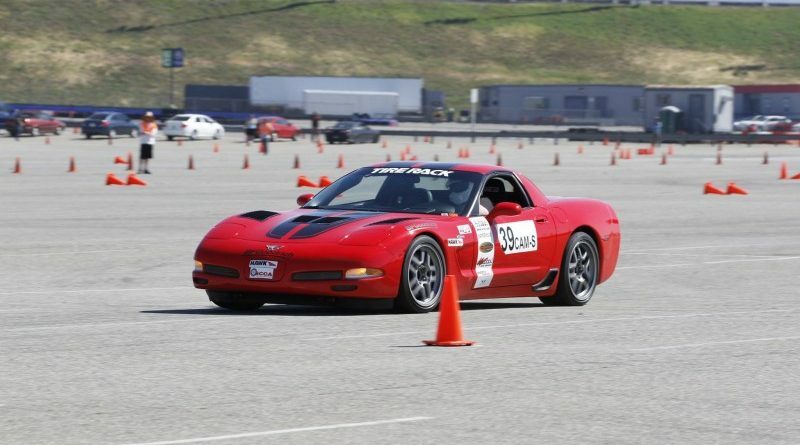 *AutoXandTrack combined all CAM results for purposes of this article. 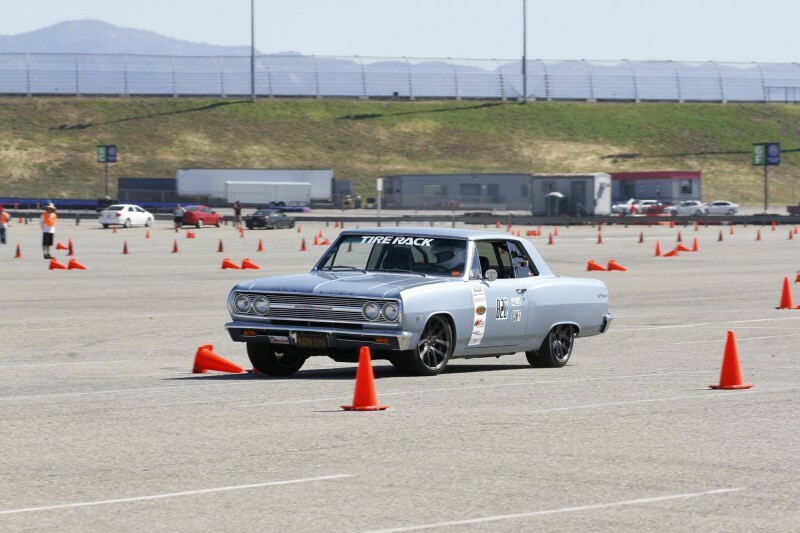 However, official times split competitors into two classes “CAM” and “IDX1.” Due to both events taking place on the same site, the generous hospitality of Cal Club and the SCCA as well as the NMCA Hotchkis autocross organizer the Racing Byrds, a group of CAM competitors were able to compete at both events. Full results available here. 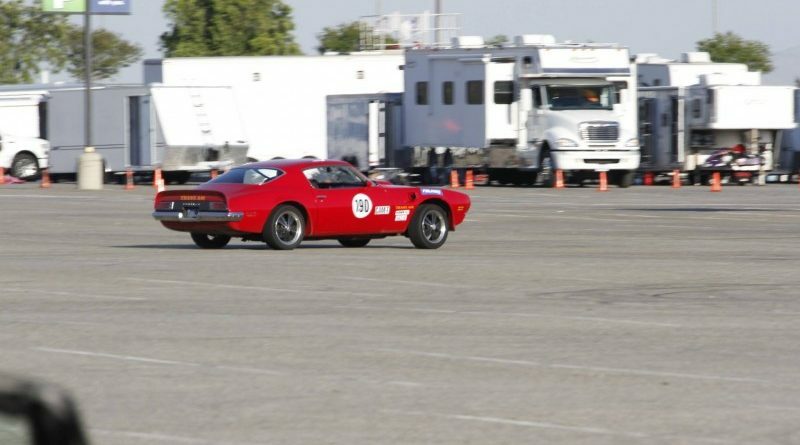 Best reaction time goes to Rick Brown in a 1973 Trans Am who had a .504, only 4 thousandths from a perfect .500. There were actually three drivers who were able to pull off reaction times less than 10 thousandths of a second from .500. Keep in mind if you jump the gun and get a reaction time below .500, its a red light and that run is equivalent to a DNF. 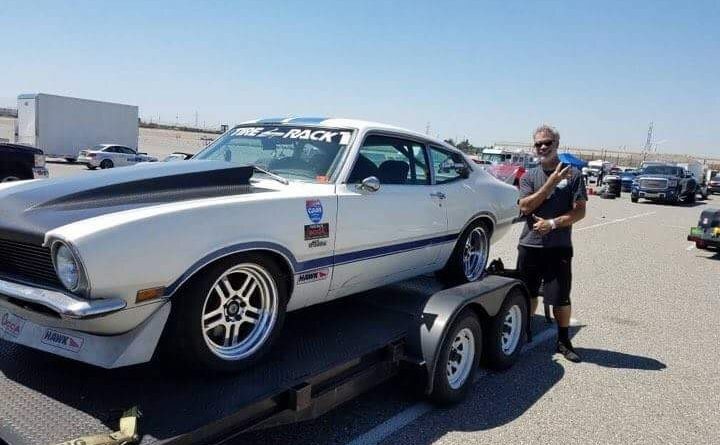 Bryant Morris driving his 1971 Maverick had the quickest 60 foot time with a 2.102. 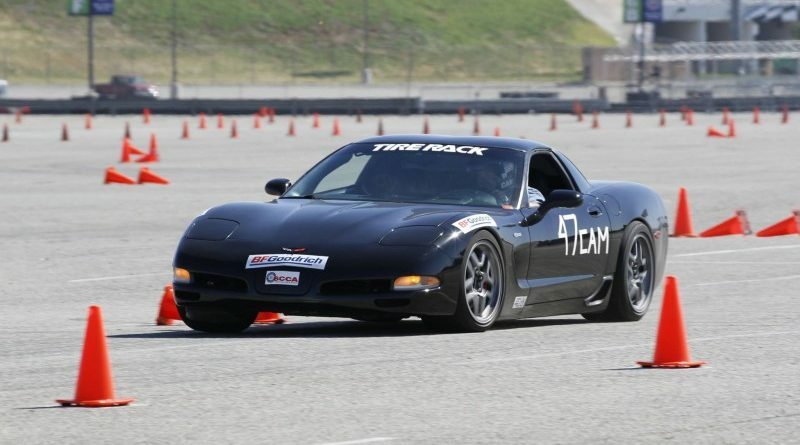 Only four drivers pulled off a 2.1 60 foot time with most of the field running 2.2 or slower. 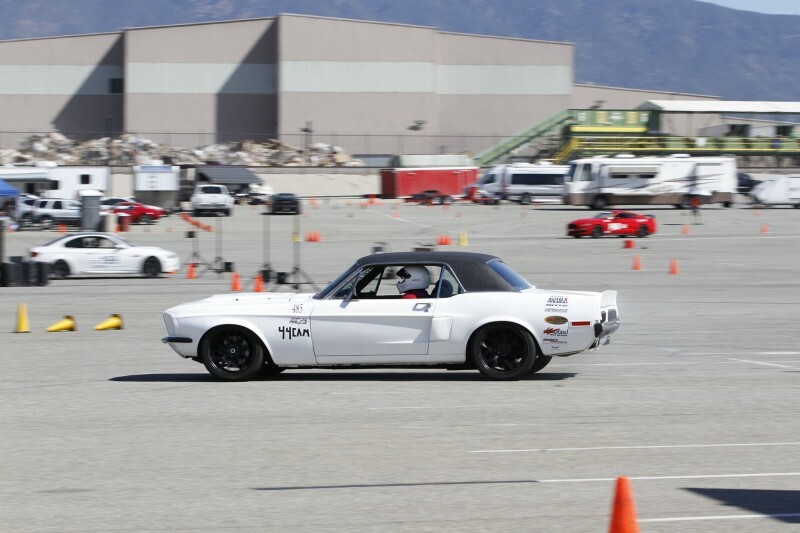 Joe Parks behind the wheel of his 1968 Mustang had a huge drop in time after his Sunday runs. 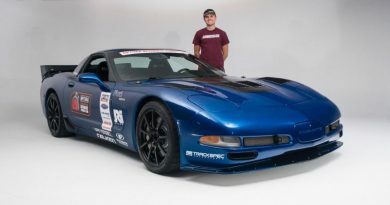 Joe dropped a whopping 2.335 seconds compared to an average of less than half a second for the rest of the CAM group. 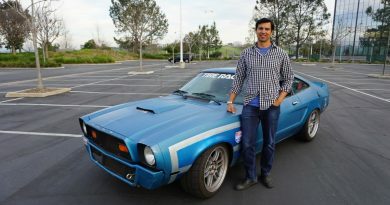 The tightest gap between CAM competitors was between Bryant Morris in his 1971 Maverick who edged out “Hollywood” Nick Relampagos in his 1970 Camaro by just 7 thousandths of a second. I know this happens in other classes, but I constantly see this type of Camaraderie in CAM. Jason Anthony had a number of mechanical problems plaguing him on Saturday. However, no less than five other drivers were quick to jump in and help him with trouble shooting and turning wrenches. And maybe just a few good natured jokes that were only slightly at Jason’s expense. 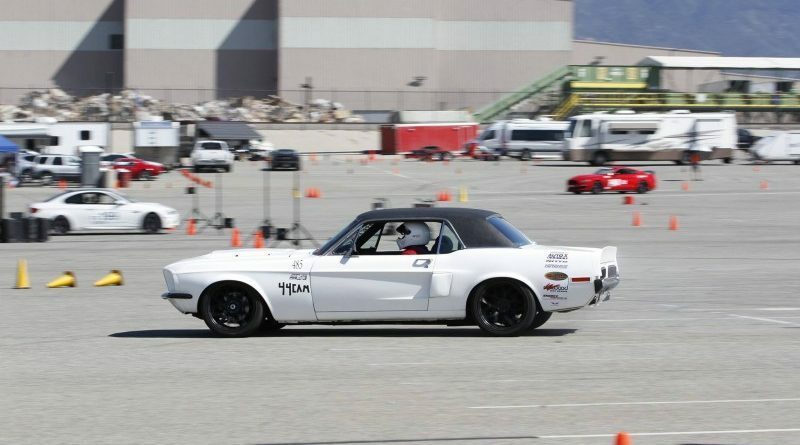 Sadly, Jason didn’t get the full ProSolo experience as he missed all of his Saturday runs and they lost his Sunday times but he did get to have fun all day at the NMCA Hotchkis Autocross on Sunday. 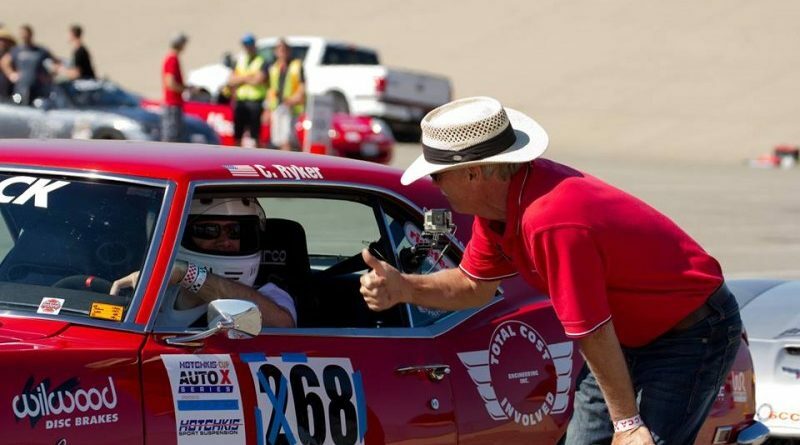 The camaraderie of autocross can’t be beat! Run format. Grid will send about 6-8 cars to the two starting lines at a time. These cars will rotate through all 4 runs (2 on each course) rather than going back to grid between runs. You alternate courses after each run. The Christmas Tree. After the car in front of you leaves the line a timer starts counting down with 15 seconds on the clock. This is the amount of time you have to get staged. It’s a good idea to start staging as soon as the car in front of you leaves. There are two staging lights, pre staged and staged. You can “deep stage” which means only the bottom staged light needs to be on when the tree is activated. There is a starter at the line that will manually activate the christmas tree at the end of the 15 second timer. When the tree is activated a loud beep is heard. This is when I recommend you bring up your launch RPM. There are 3 yellow lights and then the green light. 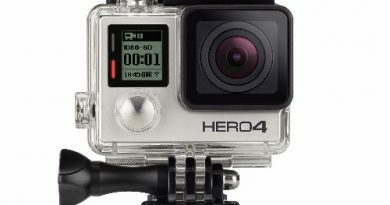 A good starting point for when to launch is when you see the 3rd yellow light activate. A perfect reaction time is .500, and if you are reading this then anything below is .800 is pretty good. I wanna know what Joe Parks had for Breakfast Sunday Morning – ‘Cause Damn Daniel, he was really boogieing around the course. 2.3 second improvement over Saturday – Good Job!